Believe everything you’ve heard about The Revenant, both the behind-the-scenes hysteria, as well as those who’ve experienced the almost three hours of visual and auditory assault, as ultimately it will add to the mystique of the film and your enjoyment (or displeasure) of it. My viewing of the maiden screening was accompanied by a Q&A with director Alejandro Iñárritu and star Leonardo DiCaprio, which did not enhance my opinion of the film as it stands, but definitely my respect for the cast and crew that endured 8+ months of the harshest conditions that Calgary and then Argentina could throw at them. 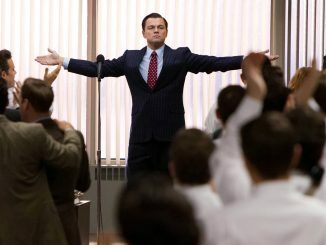 DiCaprio spoke of his excitement at working with a director who still has one foot in the independent filmmaking world, willing to grab his cameraman, audio engineer and lead actor to go running into the snow dumped woods to capture the final rays of the sunset, or swing the camera around 360, so the entire crew would have to run behind the cameraman, keeping themselves just out of the shot. And the spirit and energy of these kind of stories whet the appetite for an exuberant film. But there were also stories of crew mutinies, of long days just rehearsing massive battle scenes for the 90 minutes at the end of the day where light was perfect and would yield one, maybe two good takes. Stories of massive budget overages and producer meltdowns, of a painfully unrelenting director who would never once compromise, even when his vision demanded crews traipse miles out of their way to discover once the set was live that the light was wrong and an entire company move wasted. Is the end result worth it? Is the sacrifice of demoralization and sickness and crew strikes and layoffs and vitriol worth it for the ultimate filmgoing experience? 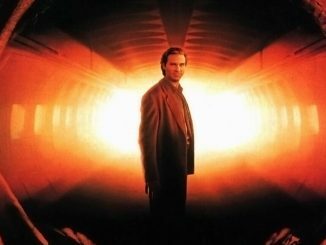 The scenario hearkens back to one of the greatest studio disasters on record, the production of Heaven’s Gate, which destroyed a company (United Artists) and ultimately the reputation of the egomaniacal director (Michael Cimino) in what was a misguided project that allowed the humoring of a hot flavor of the month, based on his one big academy Award winner (The Deerhunter), to run roughshod over every executive and creative involved. The end result was an abysmal boxoffice failure, and even now, an almost incomprehensible mess that speaks to the end of the 70s renegade filmmaking and a return to conservative budgeting and reigned in artistic endeavors. Iñárritu, the current Hollywood darling with the Oscars of his groundbreaking “one take” film Birdman representing a studio “hands off” approach to his demands, possesses more than just a few stylistic chioces that remind one of the Cimino debacle. His unflinching narrow “eyes on the prize” at any cost, his somewhat unrelenting abuse of crew members (one actor was repeatedly dragged naked across the dirt ) and his disinterest in keeping control of the budget (it went from $95 million to over $135 million) and his idealistic vision to shoot the outdoors focused actioner in chronological order and with only natural light could be interpreted as either ignorance or a desire to demand heaven and earth be moved, for his own pleasure. Wherever your opinion lies in this debate, it seems the final argument can be made about the film’s worthiness based solely on the product. My humble opinion is no, it was not worth it. Get used to this framing, you’re gonna get this much face time with DiCaprio for the next 3 hours. 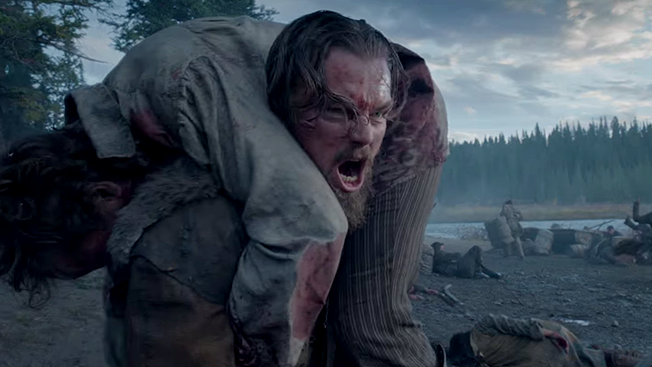 There’s no questioning that The Revenant is a moviemaking marvel. The blood and guts and snot and spit and blood (did I say blood?) and more guts, the epic battle sequences, the long, unrelenting takes that the director obviously honed during Birdman (or as producer Steve Golan insensitively quipped, “Alejandro got Birdman out of the way so he could make this film,”) all go into making the film an “unforgettable” experience. But I’ve had a nagging reaction to most of Iñárritu’s films, and this one is not only not an exception, but a big, fat exclamation point. That is, he cannot let us forget we are watching an Iñárritu movie. His big set pieces scream that the director is right there, front and center, making movie magic. You marvel at his long takes, his sweeping moves, his actors spitting (and foaming) and bleeding into the lens almost on cue like a trainer snapping the whip at his charges. But you cannot for a second lose yourself in the storytelling because the director is demanding that you look at him, look at him , look at him! The story, and the script, are excellent, and based on a combination of true facts and folklore surrounding the real life exploits of mountain man/trapper/explorer Hugh Glass. Set in the early 19th century, Glass guides a massive fur trapping expedition into the middle of Native American territory. 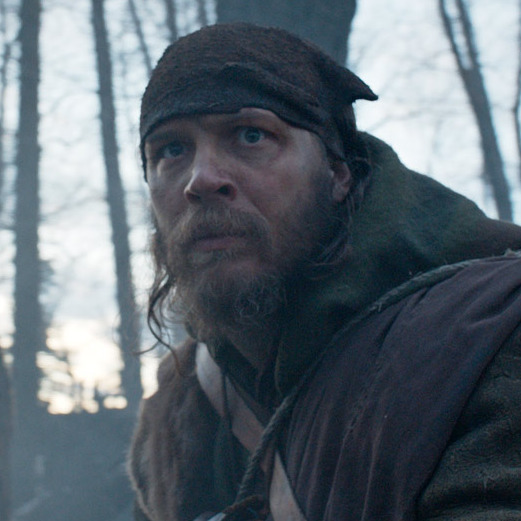 He is at odds with fellow trapper John Fitzgerald (Tom Hardy, again doing a chameleon-like job of disappearing into a role) who blames Glass for the Arikara tribes near desimation of their team. Luckily, the men are led by US Army General William Ashley, who not only sides with Glass, but believes they are alive thanks to him. When searching for food, Glass is savagely attacked by a Grizzly Bear, leaving him near death. 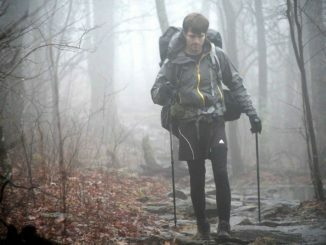 As the only guide skilled enough to lead the team back to civilization, they fashion a stretcher to carry him back, but his health continues to decline. Ashley makes the decision to offer extra income to any man who will stay behind with Glass until the rest of the party can return home and send help. Glass’s half breed son, a young Jim Bridger (another legendary true name from history) and, unfortunately, Fitzgerald, all volunteer. Before long, Fitzgerald murders Glass’s son in front of him, and tricks Bridger into thinking they are being attacked. He drags Glass into a shallow grave and begins burying him alive. Left for dead, Glass begins his painful, death-defying journey to avenge his son’s murder. As amazing as the story is, time and re-tellings have helped deepen the drama to a fever pitch. Even so, Iñárritu determines that the plotting must be even more harrowing, more shocking and more death-defying, to the point that 3/4s into the movie, DiCaprio’s Glass is laying broken and bloodied and barely alive for perhaps the fifth time, and the audience (even with the director and star present) did everything they could to not laugh. The film also, in its unrelenting fever pitch, feels about 45 minutes too long (funny – it runs 2 hours and 45 minutes). If just one of the near death experiences (the CG horse and rider going over a cliff comes to mind) had been trimmed out, it would have allowed the film to be a tiny bit more plausible and less implacable. It’s all just too much. 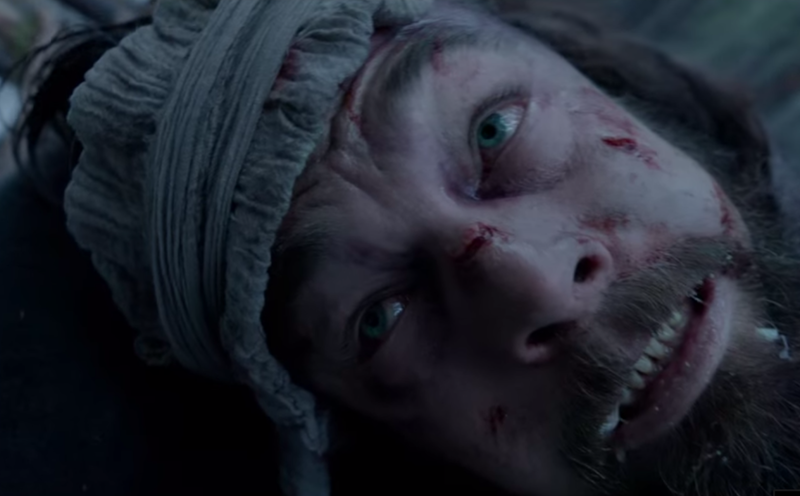 DiCaprio’s mugging and grimacing and shrieking and clawing is over-the-top; he is literally chewing the scenery. 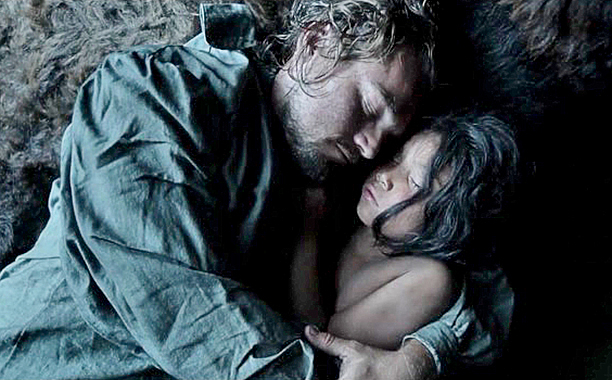 There’s no question the actor went all method, dragging himself over rocks and freezing snow, fighting with other characters and the elements (and a CG-ed bear), but Iñárritu’s camera, tightly and continuously up his maw, does a disservice to the actor and the audience. He’s performing with the dynamics of a Greek Tragedian, not in an outdoor arena, but an intimate space, comparable to inches in front of the viewer’s nose. As well, since the very nature of the production, forced to use available light and therefore only make use of a small sliver of time each day, allowed for 2 to 3 long takes — tops, meant that all the elements that went into those shots, massive cast movements, pyrotechnics, weather and light, were the primary focus, and the performances, a distant second. It’s no surprise one of Hollywood’s greatest directors, William Wyler, demanded multiple takes until the performance was just what was needed. Some actors nail it right away, while others need ramping up time. Either way, DiCaprio could’ve used some direction to help him adjust to the parameters of nailing it once, maybe twice. Still and all, The Revenant is like a death-defying rollercoaster your friends dare you to ride. It’s a harrowing, pulse-pounding, stomach-churning experience; but one that lasts longer than anyone should be expected to tolerate. And while a rollercoaster offers a great “ride,” there’s never the expectation of a resonant story. The Revenant‘s script promises such. Unfortunately, the director is too distracted by viscera and his own ego to care.